An espresso after a good meal is one of the best things, isn’t it? It not only rounds off the meal, but manages to wake us up and get us ready for the rest of the day—or an after-dinner drink. Plus, espresso is the wisest choice for an extra jolt, since it has more caffeine than a cup of coffee—right? Maybe not. 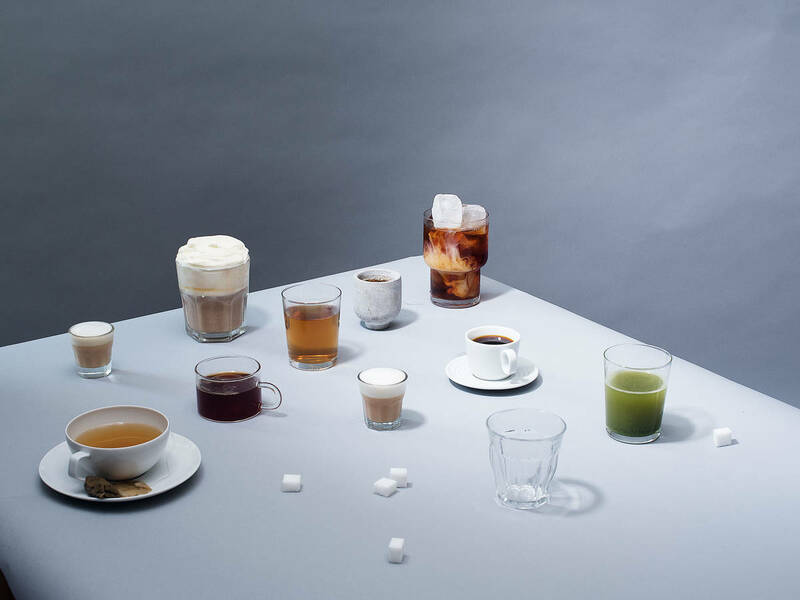 How much caffeine is really in a cup of espresso, coffee, or tea? And what effect does caffeine really have on our body? We have the answers to all of these buzzing questions! Let us know if the results surprise you in the comments! Chemically speaking, caffeine is an alkaloid, and therefore, a nitrogen compound. It naturally appears in coffee beans, cocoa beans, and tea leaves and has a very unique effect on our body. Biologically, caffeine competes with the molecule adenosine, which regulates our sleep and waking cycles, for receptors in the brain. Adenosine builds up throughout the day, latching on to the receptors that signal our brain that we are tired, ultimately making us drowsy. Caffeine latches onto the same receptors, thus encroaching on adenosine’s territory. The more caffeine that occupies the receptors, the more awake we feel. One could assume that espresso has more caffeine based solely on the use of Robusta beans. However, what really makes a difference in final caffeine counts is the water to grounds ratio when a cup of each is made. Espresso is brewed under pressure while filter coffee is not. Therefore, a standard size of espresso (approx. 25 – 30 ml) “only” contains up to 30 mg of caffeine. In contrast, a cup of filtered coffee with (approx. 125 ml) contains up to 120 mg of caffeine. Up until a couple years ago, cascara tea was considered a by-product of coffee production. It is made from the dried pulp of the coffee cherry and is steeped like conventional tea. The tea has a naturally sweet aroma and encapsulates natural flavors of rosehip, cherry, or hibiscus, depending on where it’s from. The amount of caffeine found in this tea depends on the coffee cherry used, but usually contains up to one-fifth less than filter coffee. Black tea is equally stimulating. In addition to caffeine, it also contains theaine, an amino acide analogue with the same stimulating effect as caffeine. In fact, it received its name from the very drink that contains it. A cup of black tea (approx. 150 ml) contains about 30 – 60 mg of caffeine, which equals only half a cup of filter coffee. It’s important to note that the caffeine only releases its stimulating properties when steeped for 2 minutes or less. The tannins in the tea bind the caffeine and debilitate the stimulating effect the longer the tea is steeped. With its 3.5 percent of caffeine, green tea is actually higher in caffeine than filter coffee. But just like with espresso and coffee, a cup of green tea requires fewer leaves than a cup of coffee does grounds, and therefore only contains about 40 – 70 mg of caffeine per cup. Biologically, it is best to consume caffeinated beverages approximately 90 minutes after waking up. By then, the body will have had enough time to break down the stress hormone cortisol. The perfect time for a cup of coffee or tea is thus mid-morning or afternoon. You should try to avoid consuming any caffeine starting 6 hours before bedtime, since our body starts to produce the hormone melatonin at twilight, which signals our brains that it is time to go to bed. Nobody can object to an espresso after a big dinner—even black or green tea is acceptable. But, based on the high caffeine content, you should definitely avoid filter coffee right before going to bed. And yet, we have to acknowledge: Every body is different, which is why each person reacts differently to caffeine. Some can’t sleep when drinking coffee 5 hours before going to bed, while others do just fine drinking coffee all day long.